There were people who talked about protest, material support and national welfare for peace. However, there were no other organization like this which has practical answer and acted out. 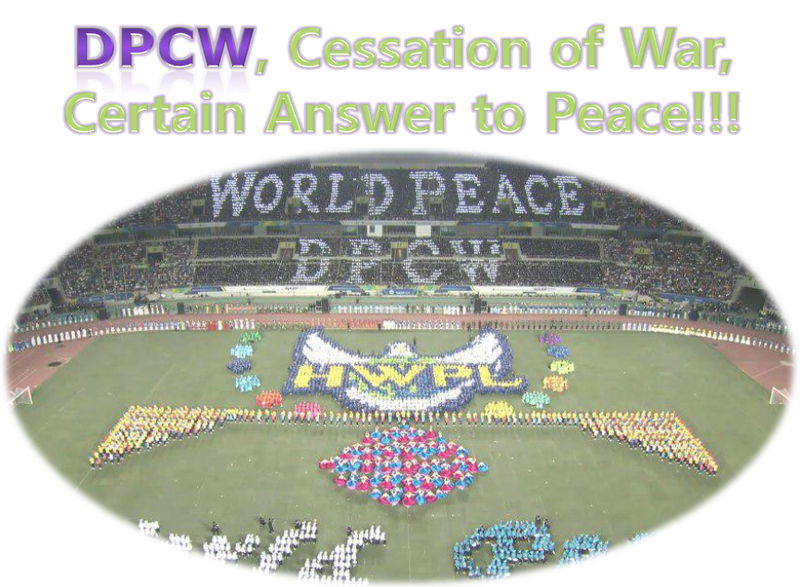 DPCW by HWPL, Cessation of War, Certain Answer to Peace!!! HWPL is the organization which acts out with answer to achieve peace beyond nation, ethnic group, religion and belief. Declaration of world peace, restoration of light which is written by HWPL chairman, Man Hee Lee, was proclaimed on May 25, 2013 in front of 30 thousand youth from 130 countries. Declaration of world peace, restoration of light became foundation on achieving peace activity of HWPL. On March 14, 2016, HWPL proclaimed legislated ‘Declaration of Peace and Cessation of war(DPCW)’ in the world. DPCW has 10 articles and 38 clauses. Main contents include reinforcement of existing international law to prevent war. The differences between existing international law and this DPCW new international peace law, revised law are the clauses which include solution of religious conflicts. People said that "There had been no such ceremony in size and content wise and chairman Man Hee Lee answer to peace is very practical and groundbreaking". Analyzing reason for conflicts and war throughout the world are caused by religion, in order to achieve world alliance of religion to solve such conflicts, HWPL is the only one private nonprofit organization which is working upfront by opening up alliance of religions' peace office in the world.